All participants must register via this online application no later than April 30th, 2019. There is a limited amount of participation slots available. The SoCAL Taco Fest reserves the right to close the application process at any time. Confirmation of your participation in either or both of the competitions comes with (2) two complimentary general admission tickets per registered dog. • Chihuahua and Chihuahua-mix-breed dogs are eligible to race. Your dog must have some resemblance to a Chihuahua. If in doubt, please submit a photo for approval. pounds. Dogs over 12 pounds are not eligible to participate. Races will be running in two heats based on weight. You must be on site and ready to go no later than 45 minutes prior to your race time. Race Times are Subject to Change. • Dogs must be on a leash at all times (except during race). • Owners must clean up after their dogs. and one at the finish line. at each end until the dog comes to the owner/participant. The toy or treat may not be thrown or tossed. • Owners/participants may not run alongside the dog. • Dogs must completely cross the finish line, within the boundaries, without being grabbed. If the dog is touched by the handler before completely crossing the finish line, the dog will be disqualified. The SoCAL Taco Fest and Race Judges reserve the right to disqualify any dog/owner/participant if they determine that the rules have been broken. agreed to by Race Judges. JUDGES’ DECISION ARE FINAL. decisions of SoCAL Taco Fest and the Race Judges. • Dogs showing aggression will be disqualified immediately. behavior is prohibited and terms for disqualification. the Race Judges’ decisions concerning such disputes shall be final. mechanical malfunctions or failures of any kind, intentional interference, or any event beyond the control of the Event representatives, the SoCAL Taco Fest reserves the right to terminate the Event, or make such other decisions regarding the administration or outcome as the SoCAL Taco Fest deems appropriate. • All decisions made by the SoCAL Taco Fest are final. • The SoCAL Taco Fest may waive any of these rules at its sole discretion. • Chihuahua and Chihuahua-mix-breed dogs are eligible to compete. • All dogs must have current vaccinations as required by the City of San Diego. • Owner and helper must be age 21 or older. No one under 21 is permitted in the event. There are no restrictions as to how you would like to dress your Chihuahua for the Beauty Pageant. Just bring it! The Beauty Pageant will take place at: 5:30 p.m. Saturday, May 18, 2019. Exact time is subject to change. The winner will be determined by crowd applause. The dog with the most applause, as determined by the Beauty Pageant Judge, will be deemed the winner. The winning dogs from both the Races and the Beauty Pageant will win an award and a prize package. All logistical information for participating on the day of the Event will be sent to you no later than two weeks prior to the festival. Parking is on your own. Event or any participant’s failure to win the Event or receive the prize, and release the SoCAL Taco Fest & Waterfront Park/San Diego County, their affiliates, directors, officers, employees, and agents from any and all liability arising out of or connected in any way with my participation in the Event, even though that liability may arise out of an unintentional act, omission, negligence, or carelessness on the part of the persons or entities mentioned above. I assume full responsibility for the behavior and care of my dog through this event and cannot hold any person(s) associated or not associated with the Event, SoCAL Taco Fest and Waterfront Park/San Diego County liable for any injury incurred through the actions of my dog or another participant’s dog in the event. I certify that all vaccinations are current and my pet is free from any contagious diseases, is in good physical condition and is not aggressive to people or other animals. To the best of my knowledge, the dog participating in the Event is a Chihuahua or Chihuahua mix breed. I will take good care of my dog based upon established standards of animal care. I understand that the Event is for entertainment only. I, by electronic signature on the next page, hereby understand and agree that SoCAL Taco Fest and Waterfront Park reserve the right, without compensation, to photograph or videotape me and/or my dog during the sponsored Event for the unrestricted use of all names, likenesses and images in any and all forms of media (print, video, and/or digital), for the purpose of any future promotional or advertising mediums. Apply for the Chihuahua Races and/or Beauty Pageant. You can participate in both. 100% of your application fee will be donated to Chihuahua Rescue of San Diego County. The participation fee for either competition (Races or Beauty Pageant) is $30 or $55 for both. 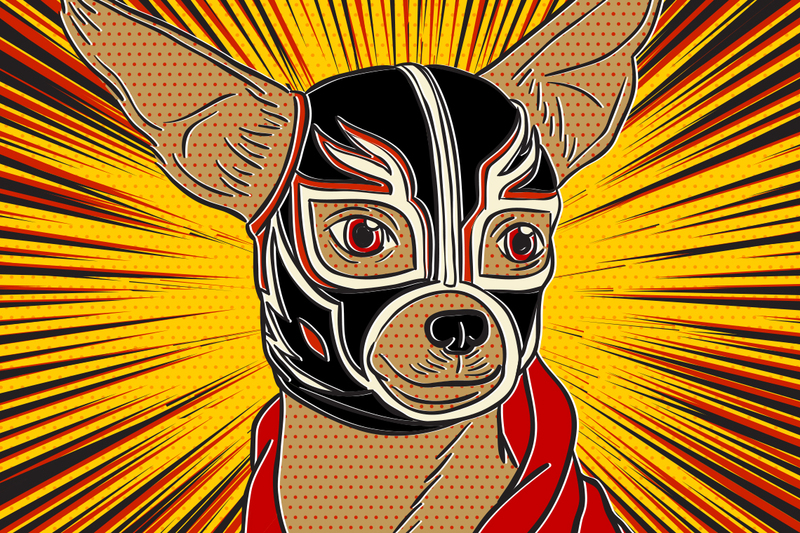 Reminder: You get two FREE tickets to SoCal TACO FEST for each registered dog that competes.